Bratislava, November 24th (TASR) – On November 22nd, the author Jozef Banáš passed the threshold of a quarter of a million sold books. This success has been facilitated by his latest novel Kód 7 (Code 7). The year 2016 obviously is one of the most successful years in the author’s career. By the end of the year the overall sales of his books have amounted to more than 200,000 copies released by the publishing house Ikar. And by the end of November, Banáš has received another wonderful news – the total number of sold books reached a quarter of a million. The popular Slovak writer has been published by Sofa, Q ex and Kelion as well. This sales success can be attributed mainly to his newest novel Kód 7 (Code 7). The search for happiness as exemplified by the happiest country in the world – Bhutan – clearly attracts readers. Within the first two months after its release, the novel has sold nearly 10,000 copies. Literary critics write about Banáš that he has jumped on the train of Slovak literature and taken a seat right in the locomotive. Almost each of his books is marked by exceptionality. The author is the laureate of numerous literary and commercial awards. His novel Zastavte Dubčeka! (Stop Dubček!) has been awarded the SC PEN Prize, the novel Zóna nadšenia (The Jubilation Zone) has received the magazine’s Knižná revue readers’ prize Book of the Year 2008 and in 2011, it was the first Slovak novel ever to reach the final round of the German Johann Gottfried Literary Award. In 2013, this book was the first written by a Slovak author to be published in India. Zóna nadšenia (The Jubilation Zone) is the most translated Slovak novel with releases in Czech Republic, Germany, Poland, the Ukraine, Hungary, Bulgaria, India and a translation is ready for print in Russia and Syria. Jozef Banáš has discussed his novels in sixteen different countries. The titles Kód 9 (Code 9), Kód 1 (Code 1) and Sezóna potkanov (The Rat Season) have been awarded the Platinum Book Prize for more than 25,000 sold copies, the title Kód 9 (Code 9) being one of the best sold Slovak novels with total sales reaching nearly 52,000 copies. 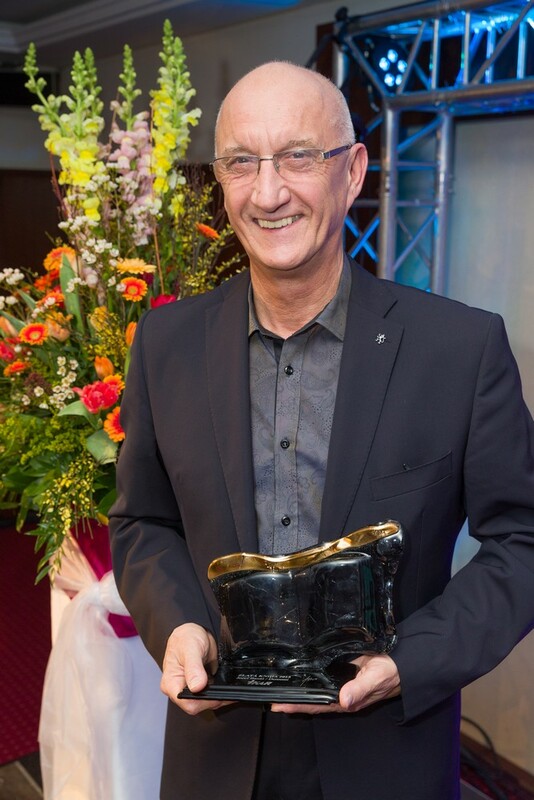 Probably the most discussed Slovak novel Kód 1 (Code 1), with which the author personally has presented the spiritual leader of Tibet, the Dalai Lama, has won the Book of the Year 2014 Award as well as the prestige Top Title – Panta Thei Award 2014. Jozef Banáš’s literary piece Posledná nevera (Last Infidelity) belongs to the best sold Slovak short stories books for which up to 10,000 readers have shown interest. The criterion for a Platinum-Book-Prize entitlement – more than 25,000 sold copies – have been met also by his books Idioti v politike (Idiots In Politics) and Zóna nadšenia (The Jubilation Zone). By the end of the year this magic threshold will be reached by his satire book Dementi which proudly bears the title Book of the Year 2015 of the Kysuce region. Banáš also holds the record in the number of attended discussions and author-meets-readers panels. Last year he went to ninety meetings and this year the most invited Slovak writer will meet his fans on precisely one hundred occasions.